Your Office away from home! 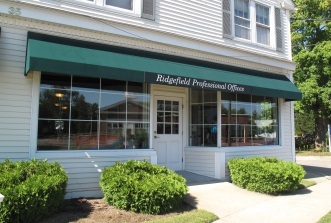 Welcome to Ridgefield Professional Offices, your office away from home! When you need an office space for a meeting, we have 2 beautiful rooms available to rent by the hour or by the day. We are proud that our offices are wheelchair accessible. An executive board room, 15 feet by 10 feet, with a board table, comfortable chairs, conference phone and office services. Ideal for meetings for 6 to 8 people. Our largest room, 20 feet by 18 feet and contains a large conference table and two desks. Our conference room features a 54 inch HD flat-screen TV that is PC and/or HDMI compatible. Our location at 35 Danbury Road, Ridgefield CT 06877.